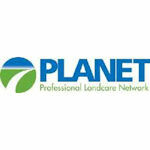 The Professional Landcare Network (PLANET) and CNA revealed their 2013 Safety Recognition Awards recipients. Designed to acknowledge landscape professionals who consistently demonstrate a commitment to safety, the national awards program received entries from 156 companies this year—all landscape companies and branches are eligible to enter, regardless of their membership with the association. PLANET and CNA doled out 361 awards for the performance period from Jan. 1, 2013 through Dec. 13, 2013. Award categories include “No Vehicle Accidents,” “No Injuries or Illnesses” and “No Days Away From Work,” as well as the “Overall Safety Achievement Award.” Companies that participated in previous programs also were eligible for the “Most Improved” category. The “Overall Safety Achievement” award honors companies with high-performing safety programs that create and maintain safe work environments. Companies are eligible for this award if they demonstrate outstanding safety performance in the workplace based on their combined fleet and employee incident rates. No Ka Oi Landscape Services, Hanapepe, Hawaii. Recipients of the “Best of the Best,” “Most Improved” and “Overall Safety Achievement” awards will be recognized on stage during PLANET’s Green Industry Conference awards recognition dinner on Oct. 23 in Louisville, Ky.